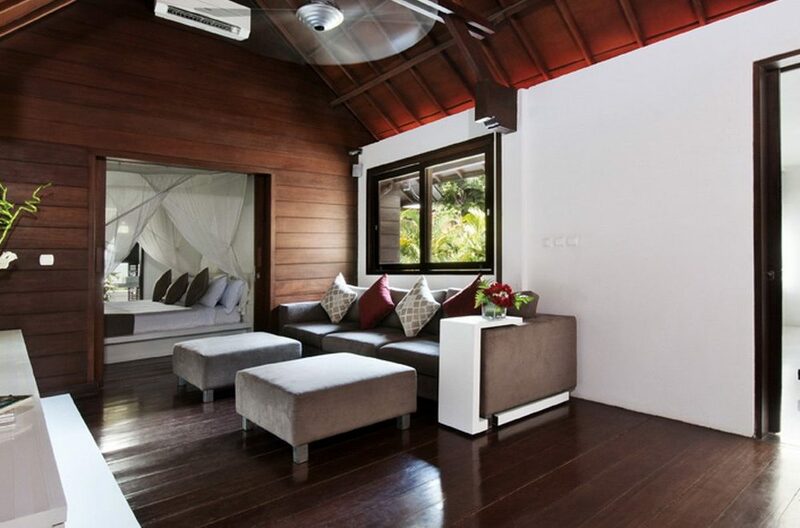 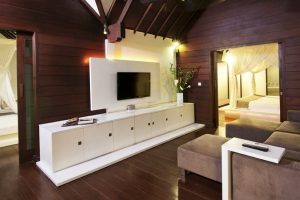 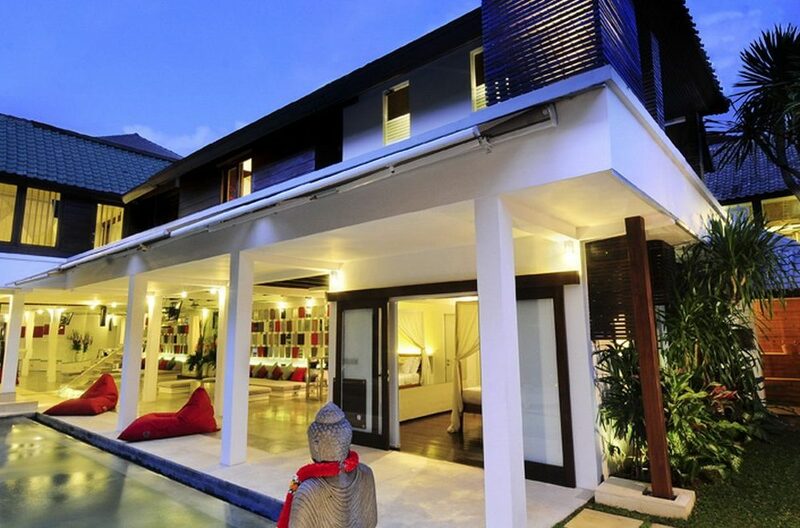 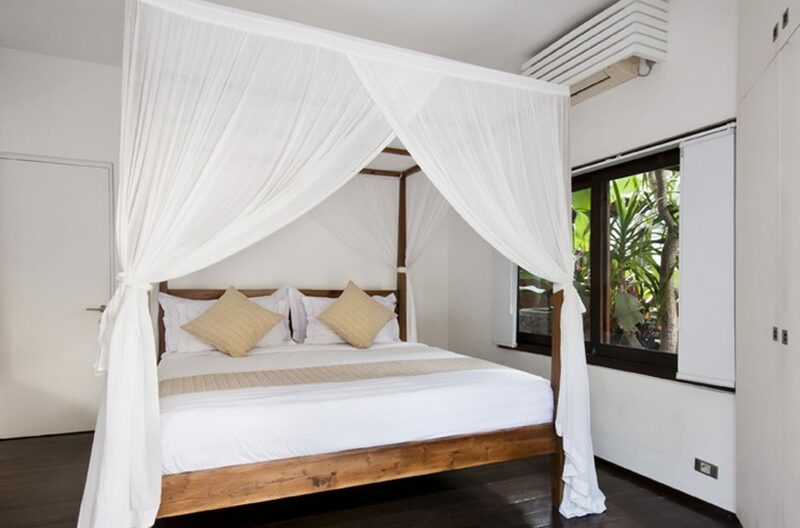 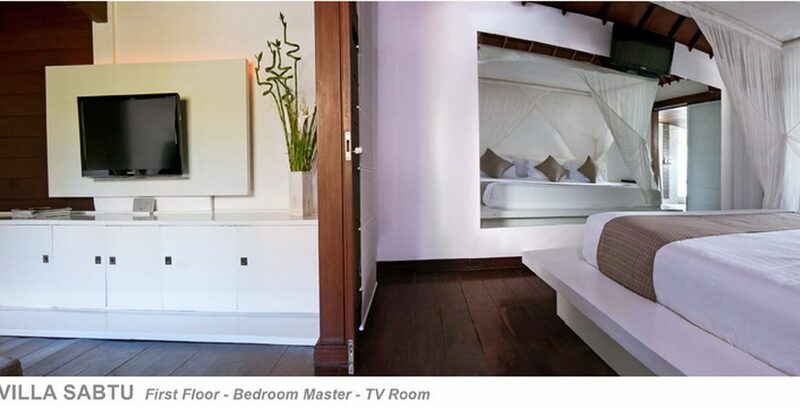 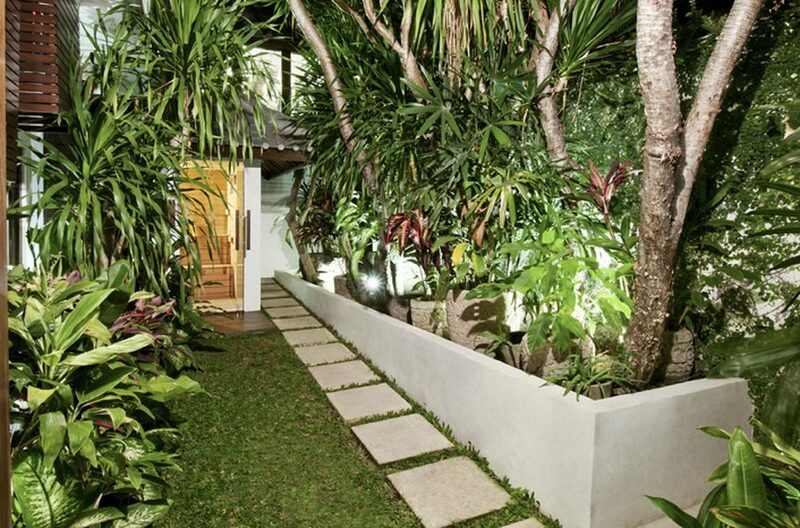 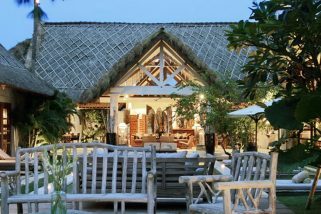 This sensational, cutting edge 5 bedroom villa offers any large group of island explorers an unparalleled experience in luxurious tropical living and is ideally situated in the trendy neighbourhood of Seminyak. 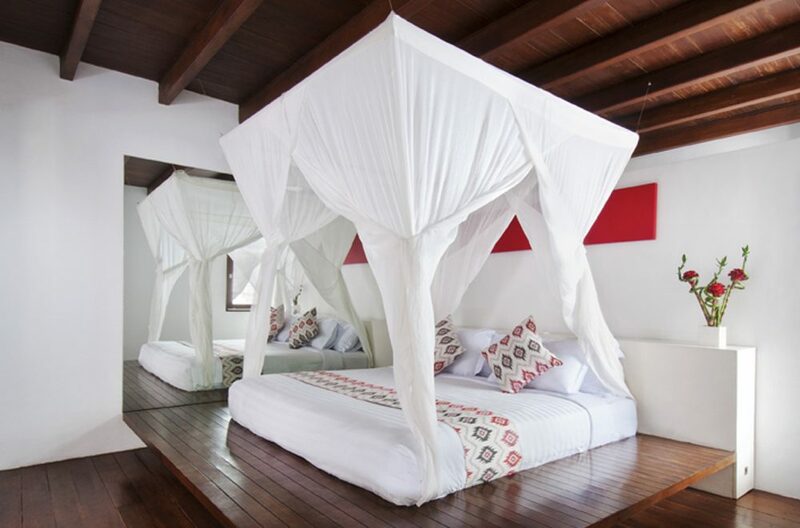 From this location you can easily discover the wide variety of delights this island has to offer from surfing and boogie boarding to an afternoon being pampering at a spa or an evening on the dancefloor. 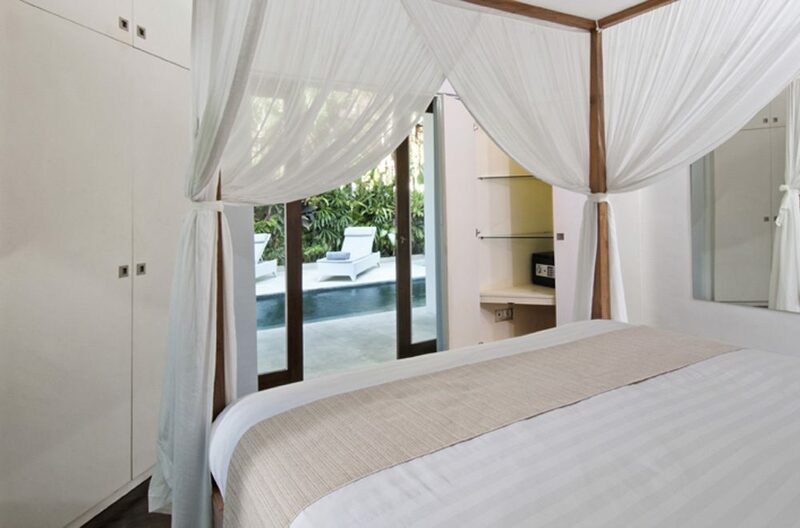 On stepping through the door at Villa Sabtu, guests will immediately be enchanted by the overwhelming sense of tranquillity and the contemporary design ethos. The exotic gardens are planted with a wealth of exotic greenery and are centred on the focal point of a large rectangular pool with an inbuilt Jacuzzi. 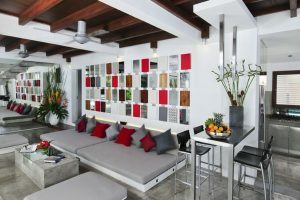 This is surrounded by a variety of loungers and watched over by the protective eyes of a large stone Buddha. 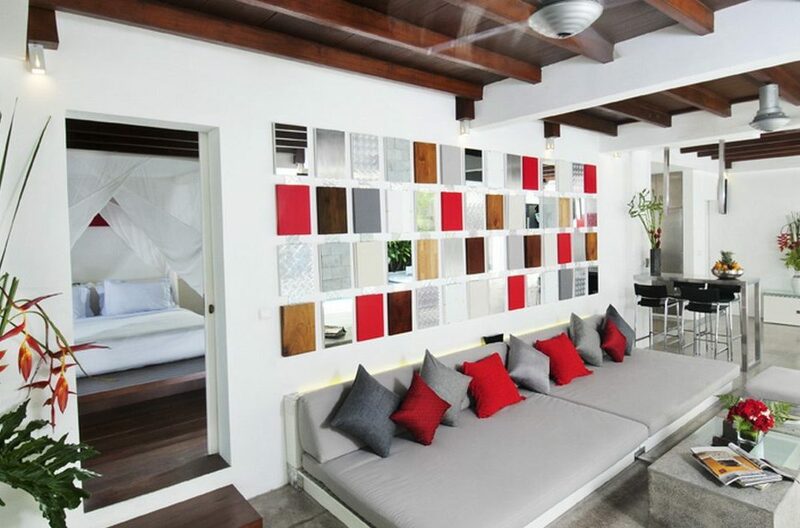 The expansive open plan living area is given a never-ending sense of space through the ingenious use of mirrors and is formed by interconnecting covered terraces around the edge of the house. 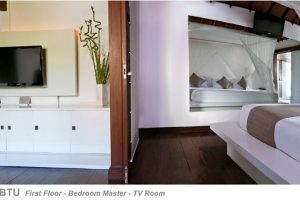 These are open to the elements and decorated largely in white with bespoke touches of colour in the soft furnishings and artwork. 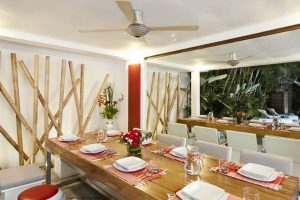 Included in this is a spacious seating area, a fully fitted American-style kitchen and two dining areas, so you have a choice of divine spots to eat the complimentary breakfast that will be served by staff each day. 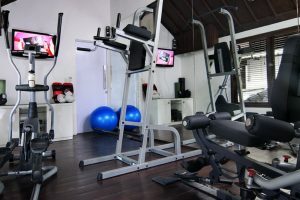 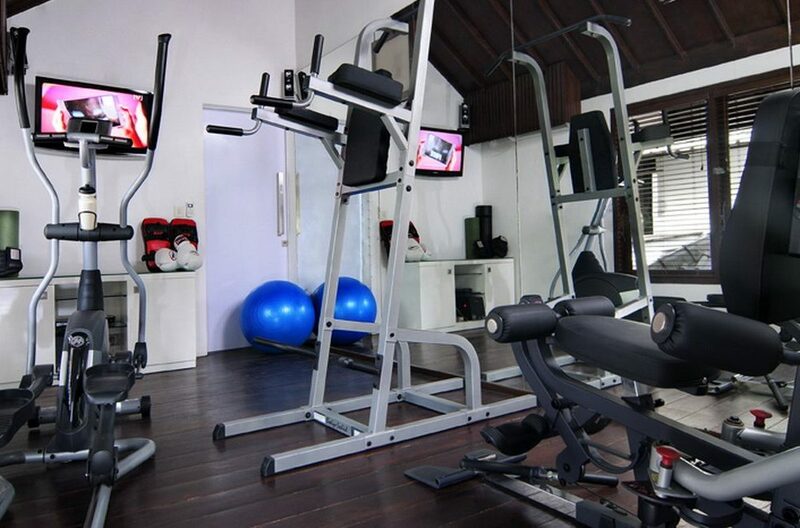 Inside the villa, all your entertainment and fitness needs are catered for and there is a further comfortable sitting room with Satellite TV and a DVD player, a fully equipped gym and a sauna. Wi-Fi is provided throughout the house and we also supply a smartphone with a local SIM, useful address book & apps. 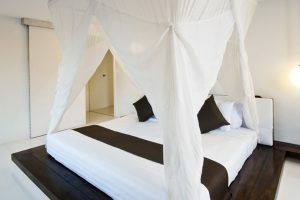 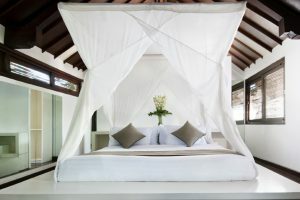 All five of the opulent bedrooms feature king sized beds dripping with silk drapes and are fully air-conditioned. 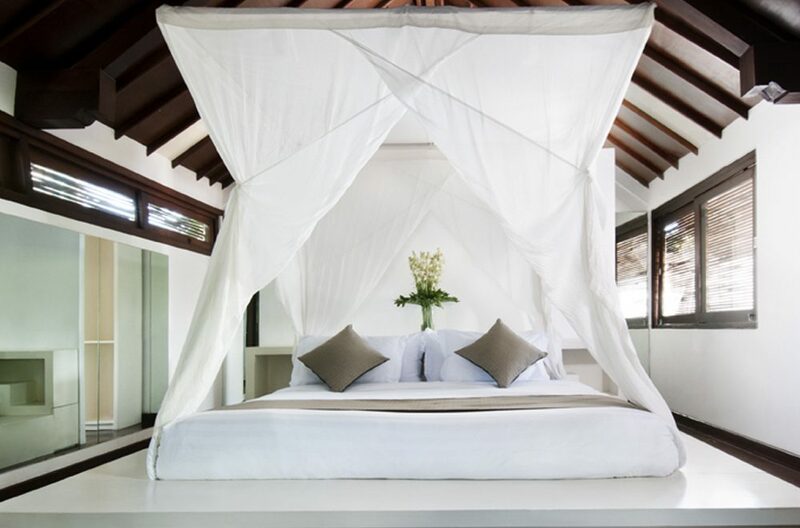 Each of these rooms have stunning views over the tropical expanse of the garden and are decorated in a zen minimalist style making them the ultimate spaces to dream about the wonders of this island. 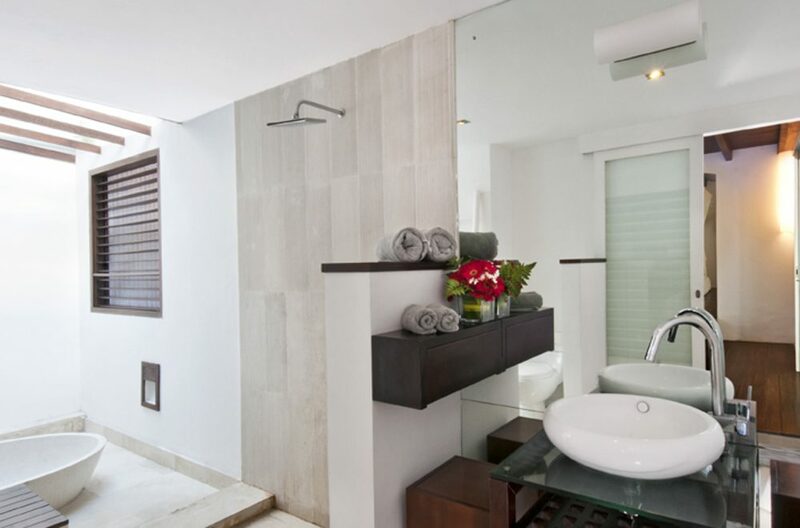 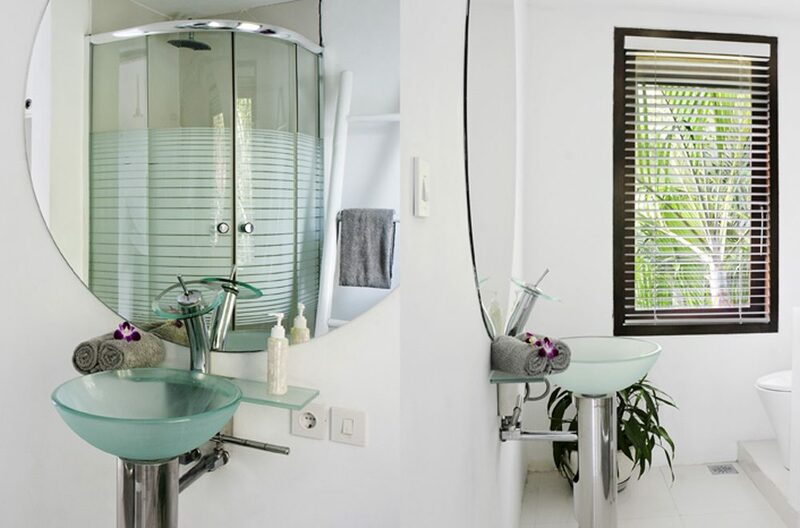 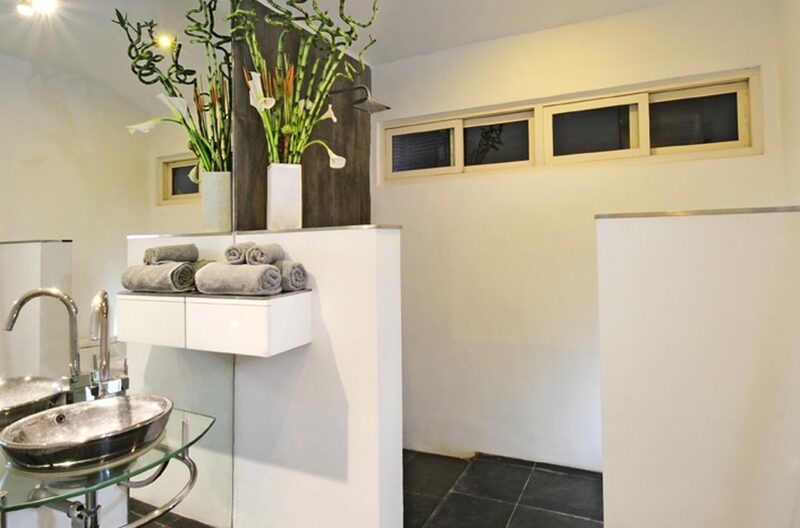 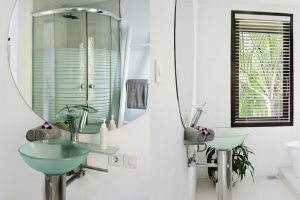 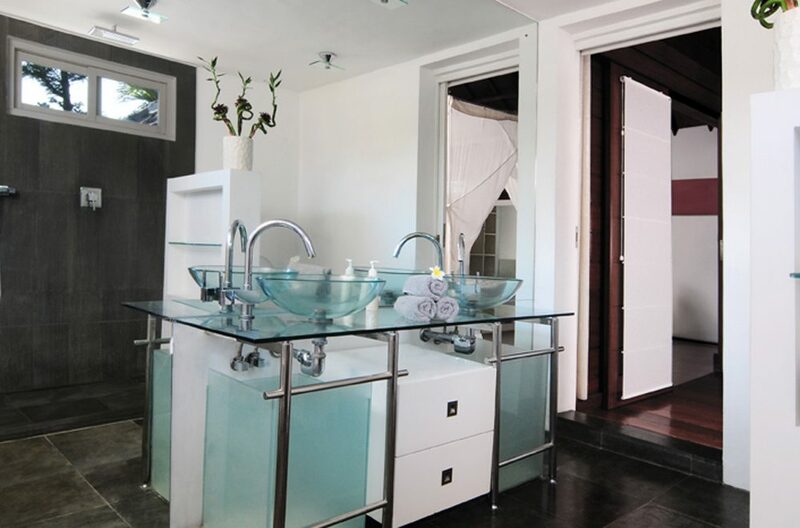 These all benefit from exquisite ensuite bathrooms with luxurious bath tubs and the highest quality fixtures and fittings. 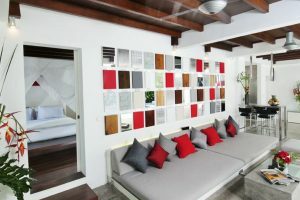 A housekeeping service is provided daily and 24 hour security watches over the villa from the entrance of the complex. 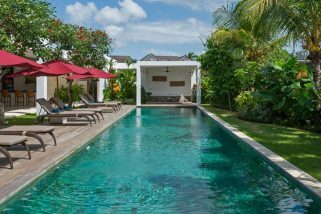 A stunning 21mtr pool, lush tropical gardens, central Seminyak locale and a smart contemporary design make Villa Casa Brio hard to pass up.